As most of us already know, the Universe (time, space, and everything we see and experience) all started with a great burst known as the Big Bang. 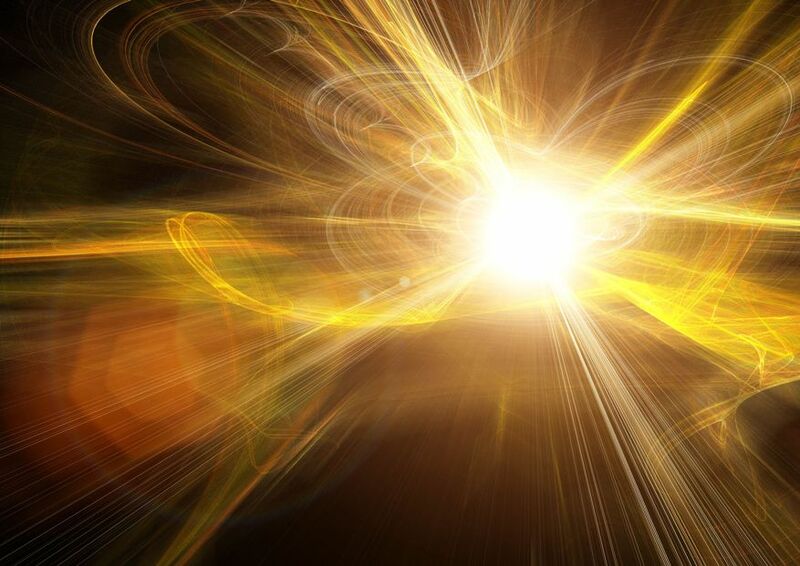 With this burst, matter sprang into existence; indeed, at the moment of the Big Bang, space itself came into being. There was a momentary inflation period, when the universe rapidly expanded. This expansion eventually slowed, but of course, it did not stop entirely. Space has been expanding for billions upon billions of years–ever since those first moments of the Big Bang. Notably, this expansion is balanced. In other words, the shape of the universe is flat and not bent, which can only be the case if there is a very specific (re: even) distribution of matter density. The Inflation Theory, developed by Alan Guth, Andrei Linde, Paul Steinhardt, and Andy Albrecht, offers solutions to these problems and several other open questions in cosmology. It proposes a period of extremely rapid (exponential) expansion of the universe prior to the more gradual Big Bang expansion, during which time the energy density of the universe was dominated by a cosmological constant-type of vacuum energy that later decayed to produce the matter and radiation that fill the universe today. Inflation was both rapid, and strong. It increased the linear size of the universe by more than 60 “e-folds”, or a factor of ~10^26 in only a small fraction of a second! Inflation is now considered an extension of the Big Bang theory since it explains the above puzzles so well, while retaining the basic paradigm of a homogeneous expanding universe. Moreover, Inflation Theory links important ideas in modern physics, such as symmetry breaking and phase transitions, to cosmology. HOW DOES INFLATION SOLVE THESE PROBLEMS? Imagine living on the surface of a soccer ball (a 2-dimensional world). It might be obvious to you that this surface was curved and that you were living in a closed universe. However, if that ball expanded to the size of the Earth, it would appear flat to you, even though it is still a sphere on larger scales. Now imagine increasing the size of that ball to astronomical scales. To you, it would appear to be flat as far as you could see, even though it might have been very curved to start with. Inflation stretches any initial curvature of the 3-dimensional universe to near flatness. Since Inflation supposes a burst of exponential expansion in the early universe, it follows that distant regions were actually much closer together prior to Inflation than they would have been with only standard Big Bang expansion. Thus, such regions could have been in causal contact prior to Inflation and could have attained a uniform temperature. Inflation allows for magnetic monopoles to exist as long as they were produced prior to the period of inflation. During inflation, the density of monopoles drops exponentially, so their abundance drops to undetectable levels. As a bonus, Inflation also explains the origin of structure in the universe. Prior to inflation, the portion of the universe we can observe today was microscopic, and quantum fluctuation in the density of matter on these microscopic scales expanded to astronomical scales during Inflation. Over the next several hundred million years, the higher density regions condensed into stars, galaxies, and clusters of galaxies. Notably, experiments at the Large Hadron Collider at CERN (European Organization for Nuclear Research) have shown that the mass of the Higgs boson is very close to a critical value that separates two possible types of universe—the stable one (which is the one that we know) or a potentially unstable alternate. Bezrukov and Shaposhnikov analyzed what would happen if the Higgs mass was near this critical boundary. Specifically, they were looking at what the impact would be on cosmological inflation. They discovered that, as the mass of the Higgs approaches the critical value, gravitational waves from the Big Bang become strongly enhanced. The Big Bang is thought to have created many gravitational waves, which act like ripples in space and time. They assert that these waves are amplified for a Higgs of near-critical mass. 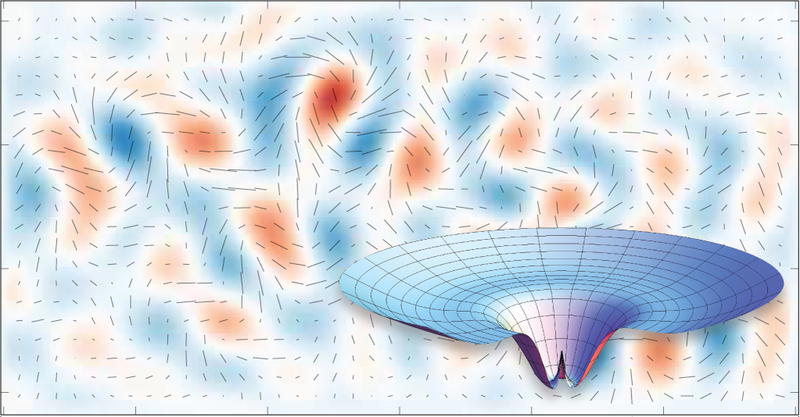 The authors claim, “Experimentally, the influence of the Higgs boson could have significant implications for the observation of gravitational waves, which had eluded physicists until recently, when analysis of data acquired by the BICEP2 telescope near the South Pole suggested the first signs of gravitational waves in the cosmic microwave background that fills the Universe” (see below image). The BICEP2 result has created a continued debate as to whether the incredibly faint signal of gravitational waves could really be detected in this manner. The effects of a near-critical Higgs mass could put such debate to rest. “The Higgs mass at the critical boundary could explain the BICEP2 result,” Bezrukov explains. Portions of this article were obtained from RIKEN. The Research was recently published in Physics Letters B.